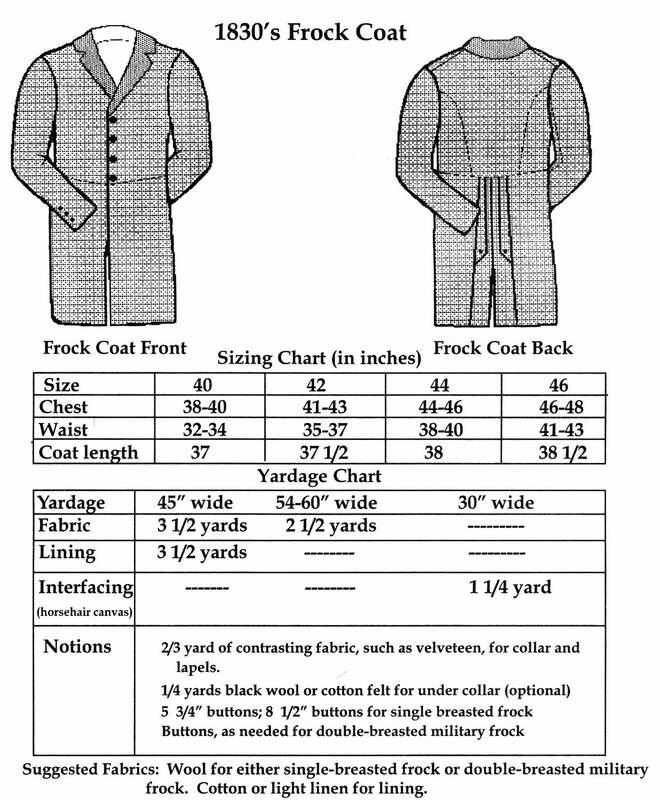 The single-breasted frock coat fits the body snugly; fitted sleeves, adorned with buttons, taper to the wrist. The skirt wraps from open front panels to a fashionable split back with decorative inserts. A contrasting lapel is optional. 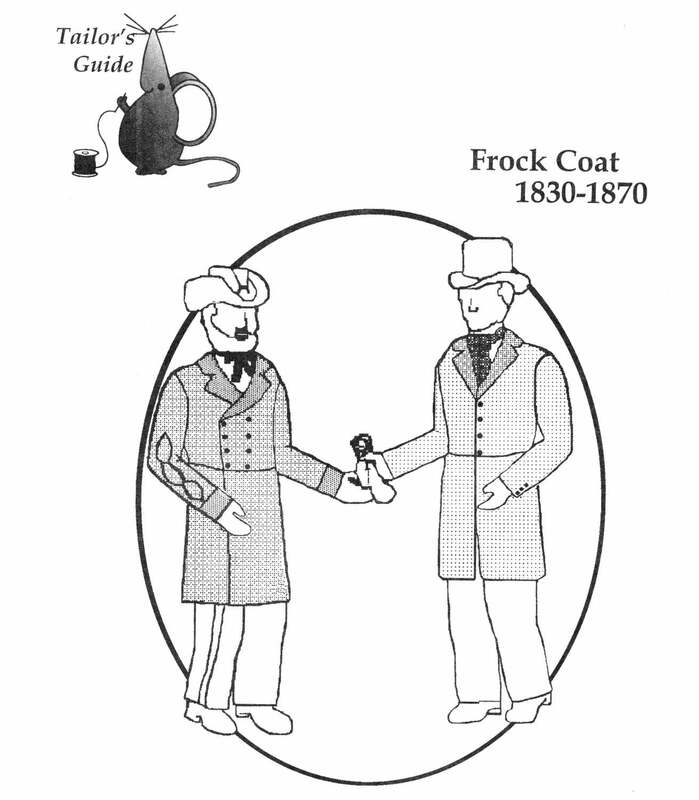 Tailor's Guide revised the pattern for either single or double-breasted for military officers, Union or Confederate. Sizes range 40-46 chest. See the size chart above.